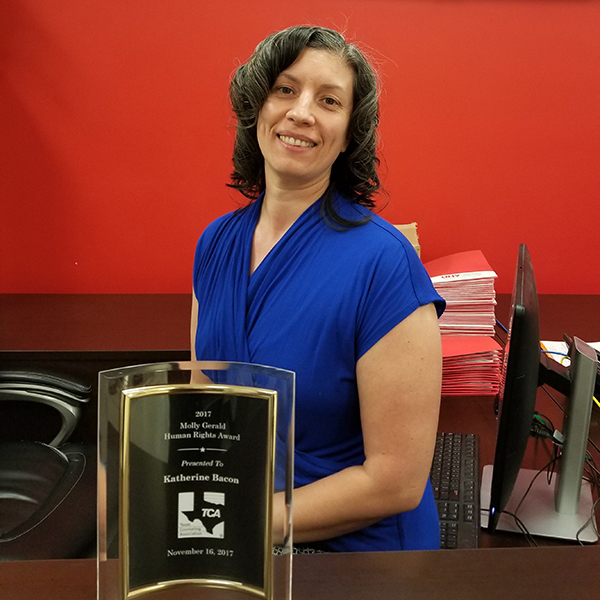 Katherine Bacon displays her Molly Gerald Human Rights Award at UHV Katy. She was given the award in November as an acknowledgement of her decades of advocacy for children in the foster care system and other causes. Katherine Bacon’s passion for advocacy grew from surviving difficult circumstances and moving forward despite overwhelming challenges, and now she has been recognized with a statewide award. Bacon, a University of Houston-Victoria assistant professor of counselor education, recently was awarded the Molly Gerald Human Rights Award by the Texas Counseling Association for her work advocating for children in foster care. She also was recognized for creating the Parris Foundation, which serves the needs of crime victims and was named for her son, who was murdered. She was presented with a glass trophy on Nov. 16 at an awards ceremony during the 61st TCA Annual Professional Growth Conference in Galveston. The award is presented to individuals in recognition of their contributions in one or more areas of human rights. It is named in honor of Molly Gerald, an innovator and counselor for the gifted and talented program in Northeast Independent School District in San Antonio. Award recipients are chosen based on membership in the association as well as a continual commitment to causing positive change through advocacy. Bacon’s focus on helping children in foster care came from her own experiences in the foster care system. After aging out of the system and as she worked her way through college to eventually become a counselor and professor, Bacon came back to the foster care system to facilitate and create programs to better train departments and foster parents on how to help children in the system. In the same way that living through foster care inspired her to advocate for children in the system, the loss of her son pushed Bacon to address another injustice in society. Bacon shares that passion with her students. 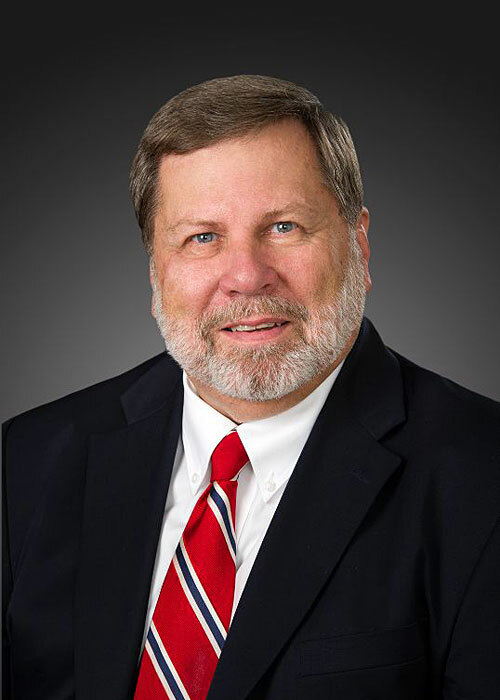 As part of the UHV School of Education, Health Professions & Human Development counseling programs’ accreditation through the Council for Accreditation of Counseling & Related Educational Programs, every class includes some tie to advocacy. Receiving the award has inspired Bacon and has put her in a reflective mood, she said. As she looks back at her own work, she also sees the results of all those people along the way who encouraged her to speak and act.